I have always been amazed by the incredible architecture and scale of Shanghai China. I traveled there on assignment for a commercial project and stayed extra days to explore the city for myself and see what views I could find. Here is a collection of my Shanghai photography. World Financial Center sunset, Shanghai Photography. 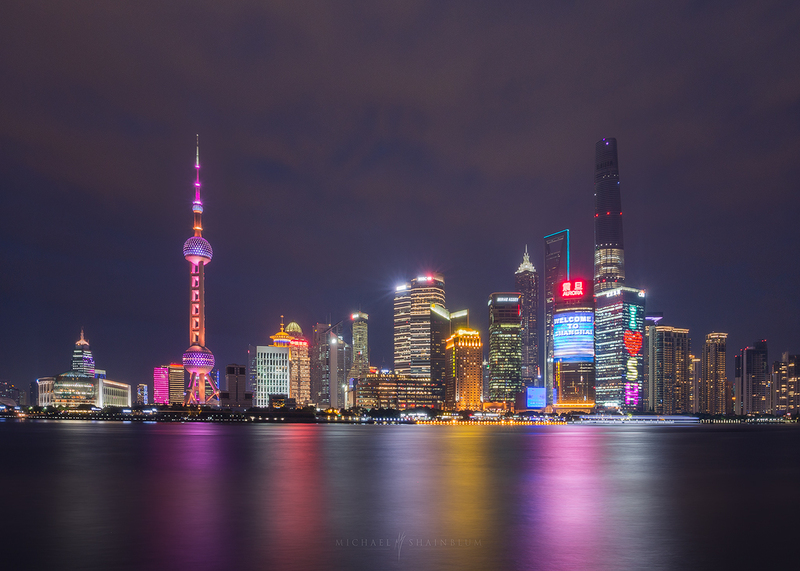 Heres a view of the Pudong skyline at sunset. Taken from the World Financial Center. This was one of my favorite view points of the entire city and really showed the sense of scale. Here is a perspective of Shanghai from the other side of the river. The Pudong skyline can be seen in the distance on the right side. 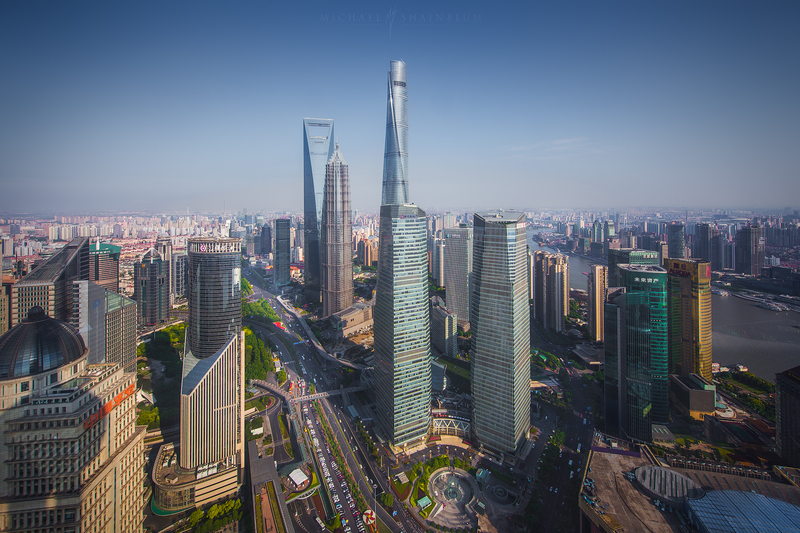 This was one of my favorite Shanghai cityscape views and really gave a great sense of scale to the city. Shanghai Photos: Pudong City at Night. 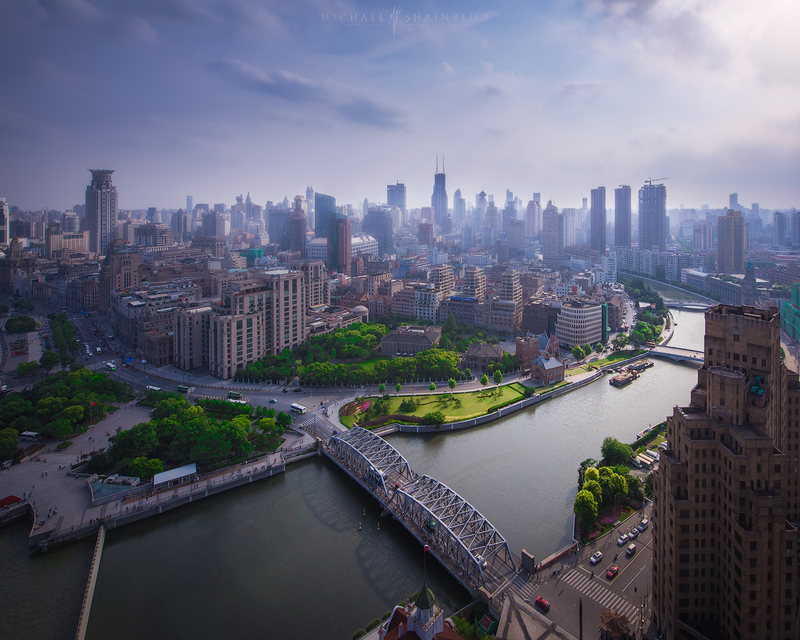 Shanghai City Photography: Pudong from Above. 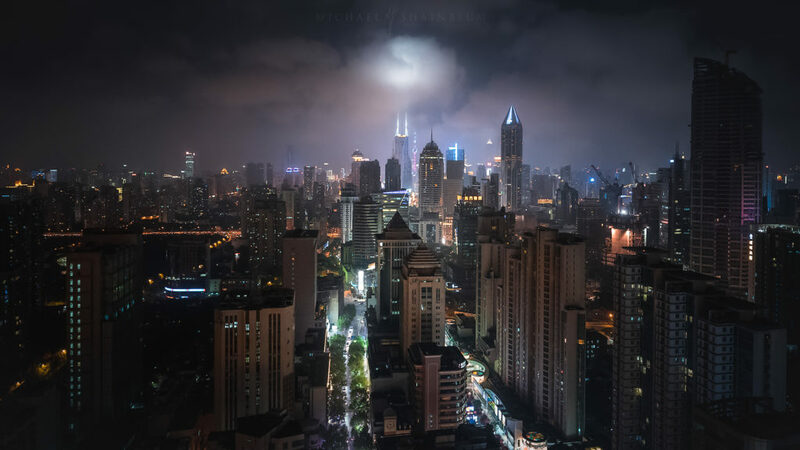 Shanghai City Photography: Dark Night Cityscape. Shanghai Photos: Pudong Cityscape, taken from the Pearl. 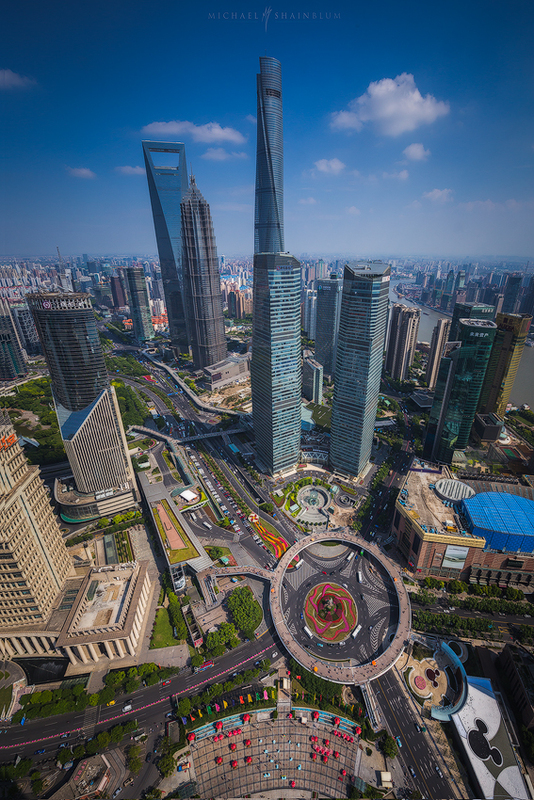 The view from the Pearl Tower is incredible and gives a great sense of scale to the Pudong Skyline. Shanghai Photos: Pudong, aerial birds eye photo. Another photograph taken from the top of the Pearl looking straight down. 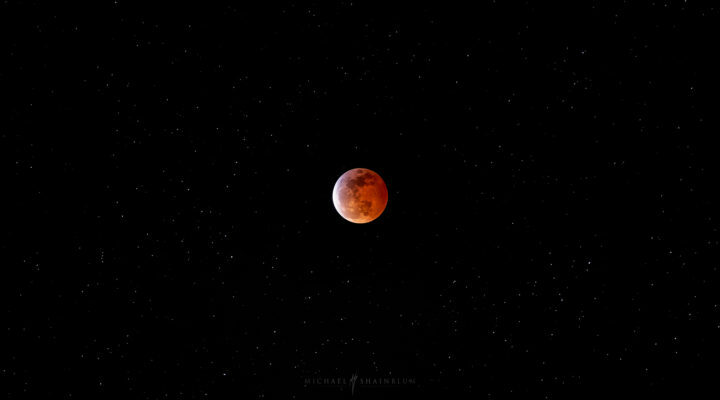 In the video above you can see this as a moving timelapse sequence. 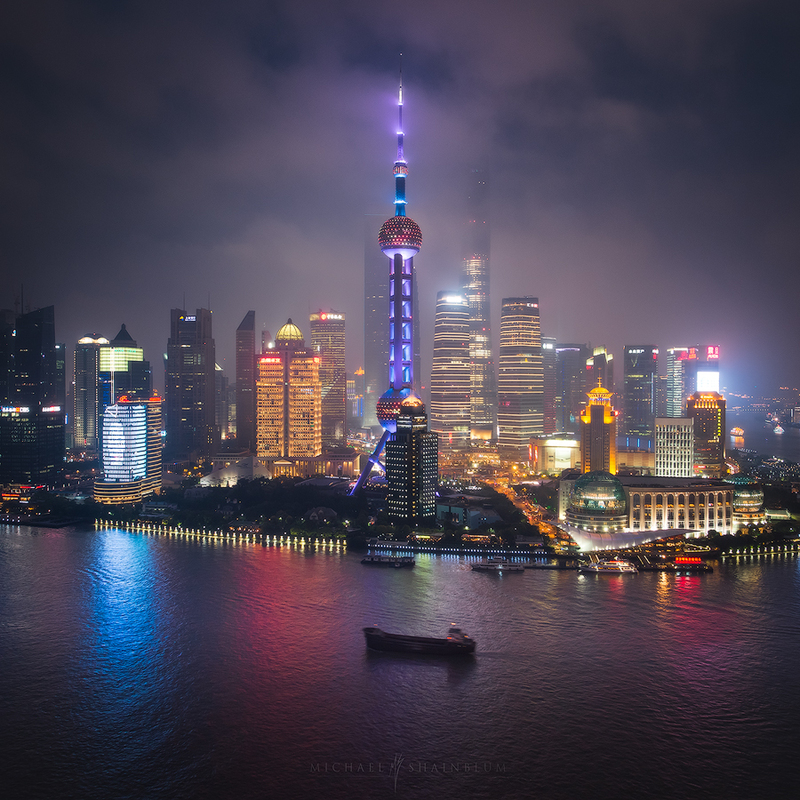 It quickly became one of my favorite scenes in the Shanghai Timelapse video. The smoggy weather in Shanghai can create a really eerie mood. Giving the city an almost dystopian look. The strange and unique architecture make that even more apparent. 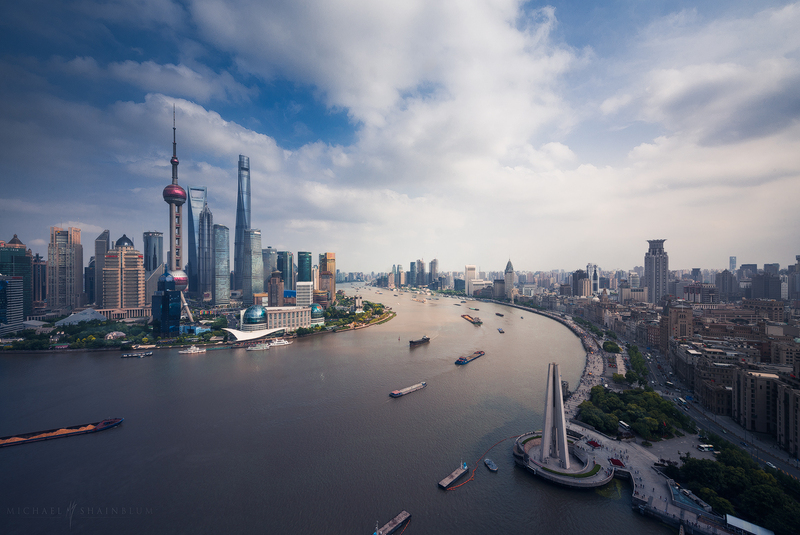 The first image was taken from a rooftop located on the Shanghai Bund. The second image was taken on the rooftop of our hotel during our first night exploring the city. Pudong Shanghai skyline taken from the Bund. 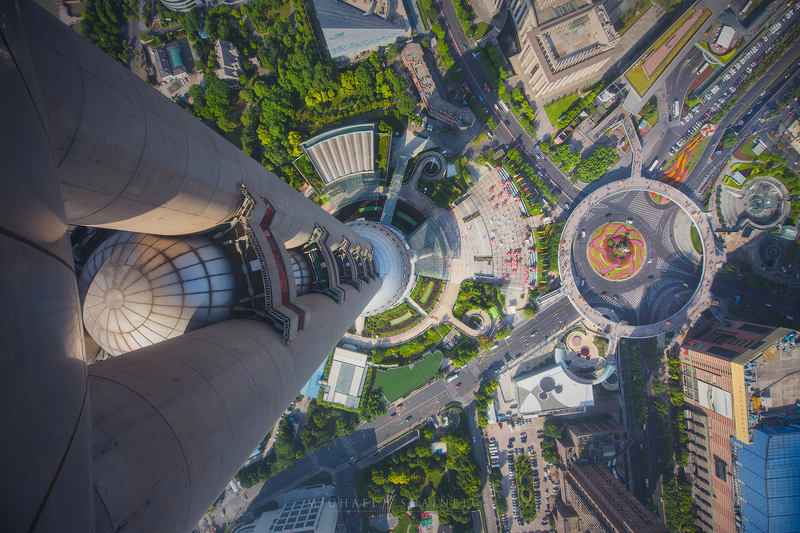 The first image was taken from the Pearl Tower in Pudong. In the image you can see the World Financial Center (bottle opener building). The taller building is the Shanghai Tower which is currently the second tallest building in the world. 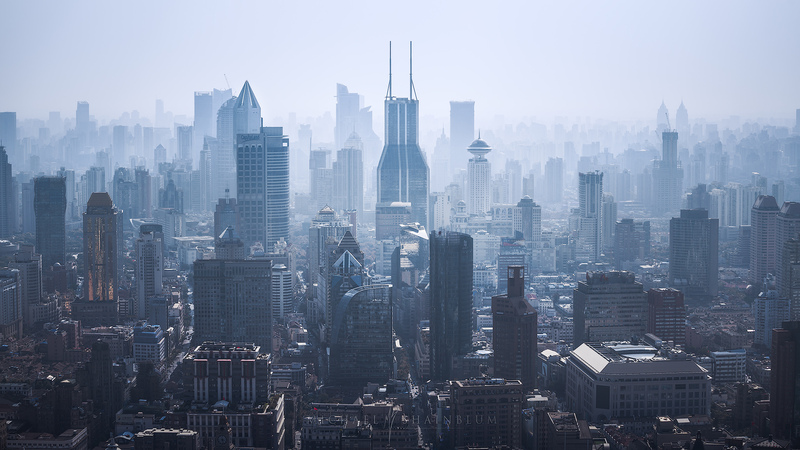 The second photo was taken from the top of a building on The Bund. 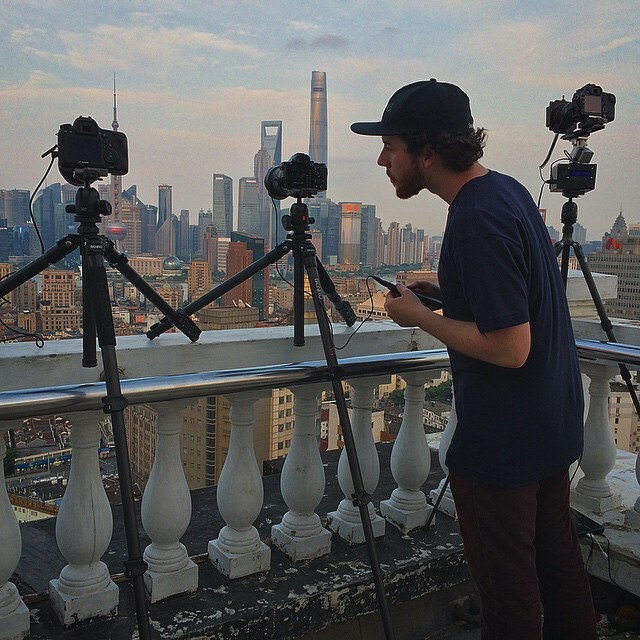 Here’s two behind the scenes shots taking timelapses and images from around Shanghai. In the second shot, I am using multiple cameras to capture different Day-to-night timelapse angles for the film above. 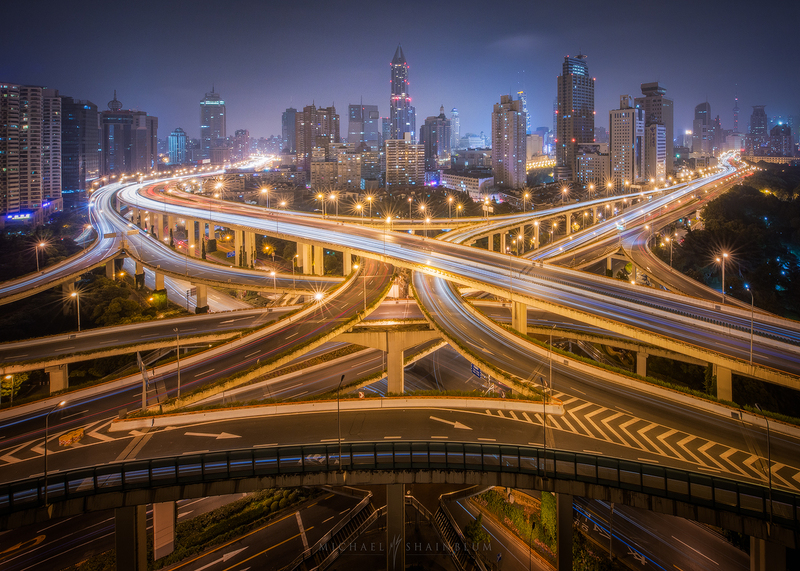 Shanghai photography, long exposure cityscape freeway. One of my favorite views of the city was this incredible interchange system. The Pearl Tower can be seen in the distance on the right side with the lights off. 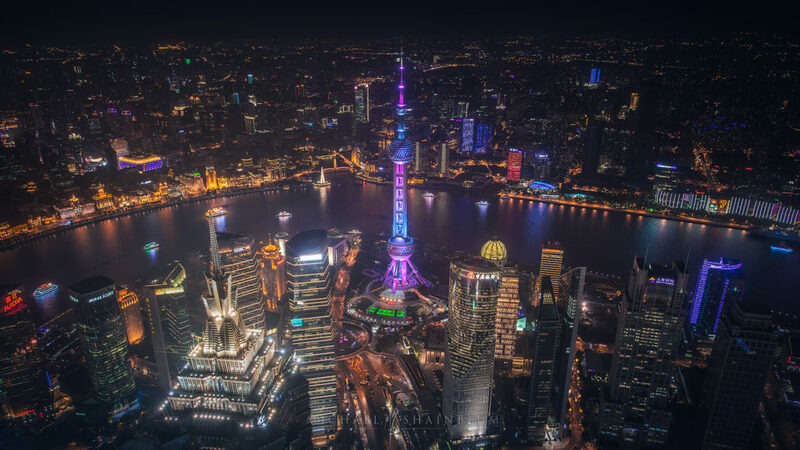 Shanghai photography, high above the Pudong Skyline at night. 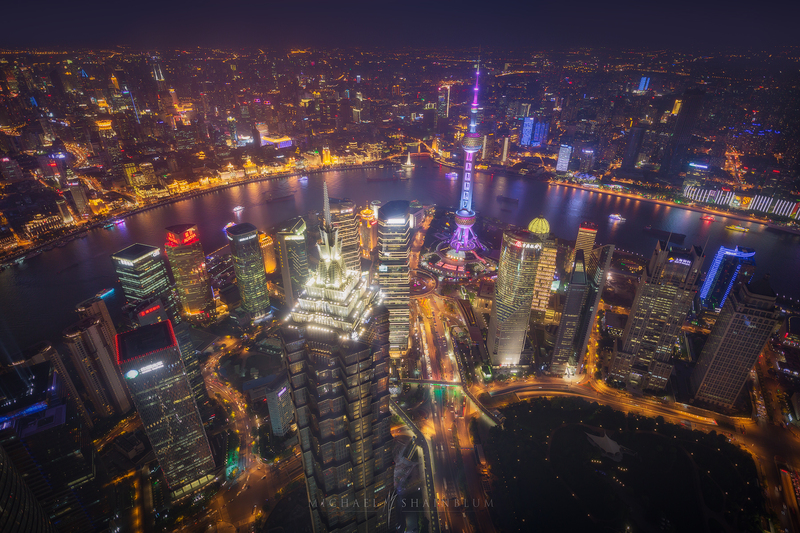 This is a photograph of Shanghai from the top of the World Financial Center, the city looks absolutely amazing at night. The colors of the buildings shine through giving the city a lot of character. 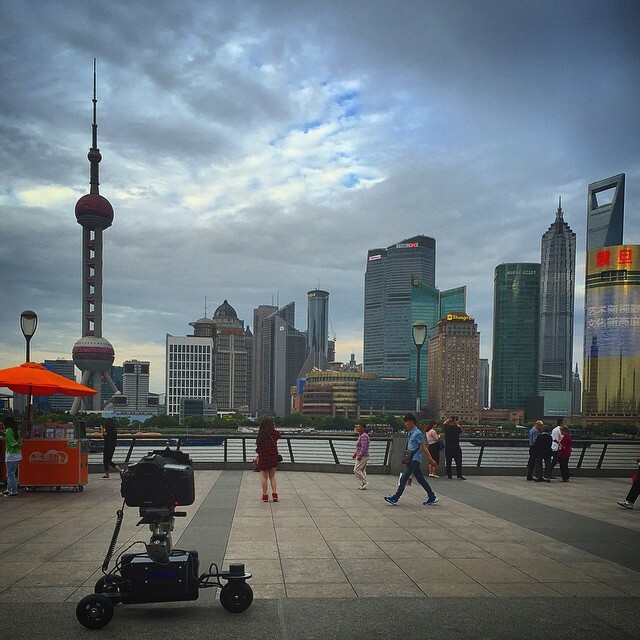 Thank you for taking the time to check out my Shanghai photography series. It was definitely one of my favorite cities to capture. The city was filled with beautiful views and amazing architecture. I am sure this will not be my last time visiting Shanghai. 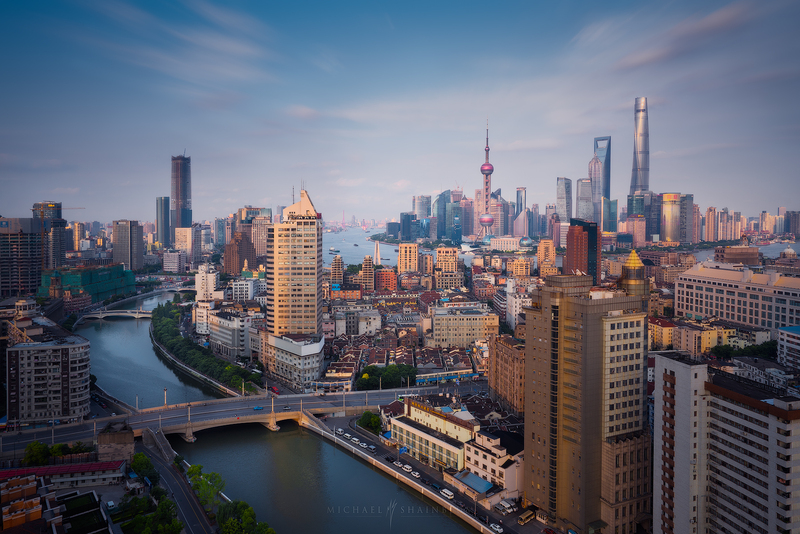 If you enjoyed this collection of Shanghai cityscape timelapse and landscape photography consider checking out my Cityscape Dubai series HERE. I really like your photos of shanghai city. I wonder if I’m able to buy those pictures and use them to decorate my lawyer firm website? 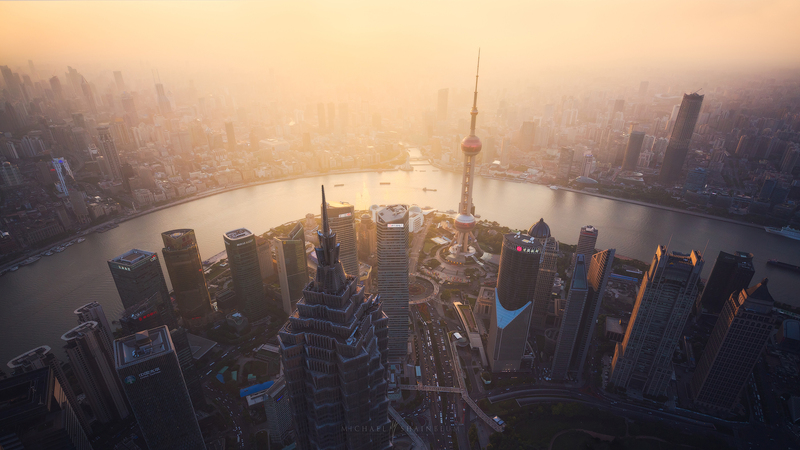 First of all great work on the shanghai time lapse. Secondly, i was wondering if i can buy this time laspe for my website. what is the place to take interchange system? it would be awesome if you could reveal the spots where you took those rooftop photos, im visiting soon. Thanks!! Wow. Simply awesome. 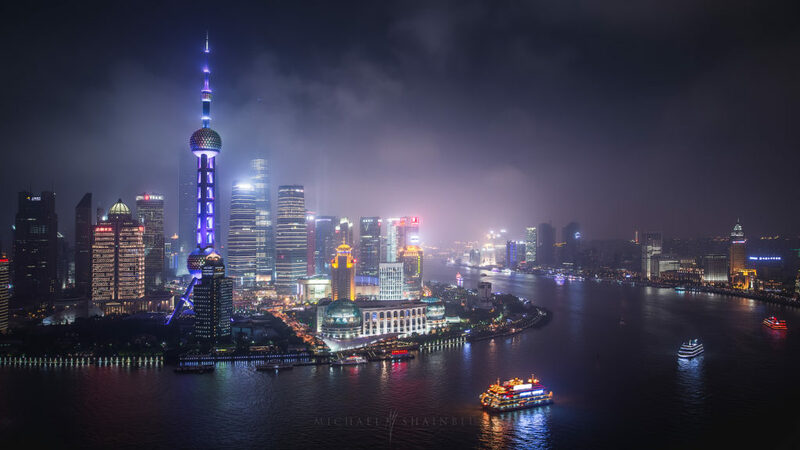 lights in “Shanghai photography, high above the Pudong Skyline at night.” great.